Be part of the Swiss Hub in Stockholm! 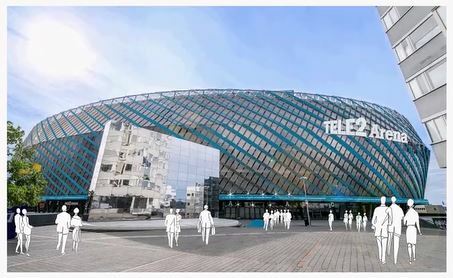 The water conference World Water Week (WWW) has moved to the Tele2 Arena this year! Do you want to be part and take the opportunity to organize a networking aperitif or launch a product? Join the SWP Booth at the new conference location and book a slot during the WWW! The Swiss Water Partnership offers its members a space to create events, presentations, organize movie screenings or networking aperitifs. Be part and co-own the booth for 2 hours! Applying the rotating ownership principle, each participating organization will have the opportunity to own the Swiss Booth for a specific time slot during the week. More detailed information: Call for Swiss Booth Participation 2019.